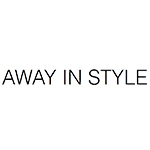 “Beach front dream house” oneofmagazine.com, published November 15th ,2018. 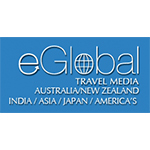 “New hot spots off the beaten path.” Escape.com.au, published November 11th, 2018. “Beach gateaway bridal shower at Noku Beach House.” Pep.ph, published November 1st, 2018. “Noku Beach House is the latest luxury villa to join Elite Havens’ repertoire.” Ttgmice.com, published September 13th, 2018. “Noku Beach House: The private 6-suite beachfront villa” Hashtaglegend.com, published September 11th, 2018 . “Why this new Bali beach house is a design lover’s utopia.” Delicious.com.au, published September 10th 2018. “Chic Bali Villa, Noku, opens on the beach in Seminyak” Melissahoyer.com, published September 4th 2018. “Akomodasi eksklusif Noku beach house” Destinasian.co.id, published September 03rd, 2018. “A beach front estate fitting for our times.” The Yak Magazine Vol 60, published September – November 2018. “Noku Beach House is the ultra-glam star of Seminyak’s exclusive beachfront.” Expat Living Magazine, published September 2018. “Noku Beach House opening” Livingfoodlab.com, published August 2018 . “Noku Beach House – Seminyak’s Only Private Beachfront Villa” Travmedia.com, published August 28th, 2018. “The newest addition to the land is Seminyak’s first and only private beachfront villa. ” Luxuo.com, published August 27, 2018. “An uninterrupted ocean view, facing the sunset, is everyone’s dream destination. ” Peaklife.in, published August 2018. “NoKu represents the peak of comfortable and sophisticated living. ” Globalspaonline.com, published August 2018. “Opening in September 2018, NoKu Beach House will be Seminyak’s only private beachfront villa. 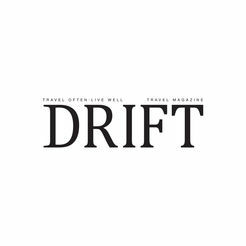 ” Drifttravel.com, published June 2018. “Welcome to NoKu Beach House, the only luxury villa with absolute beachfront in all of Seminyak.” Awayinstyle.com, published June 2018. “NoKu Beach House is the only luxury beachfront villa in Seminyak, represents the peak of comfortable and sophisticated living.” Eglobaltravelmedia.com, published May 2018.